Never tried overnight oats? Well, you're in for a treat. If your mornings are hectic, you might think it's nearly impossible to make a healthy breakfast. With this recipe for overnight oats with fresh berries and chia seeds, you'll have a nutritious and tasty meal waiting for you first thing in the morning. 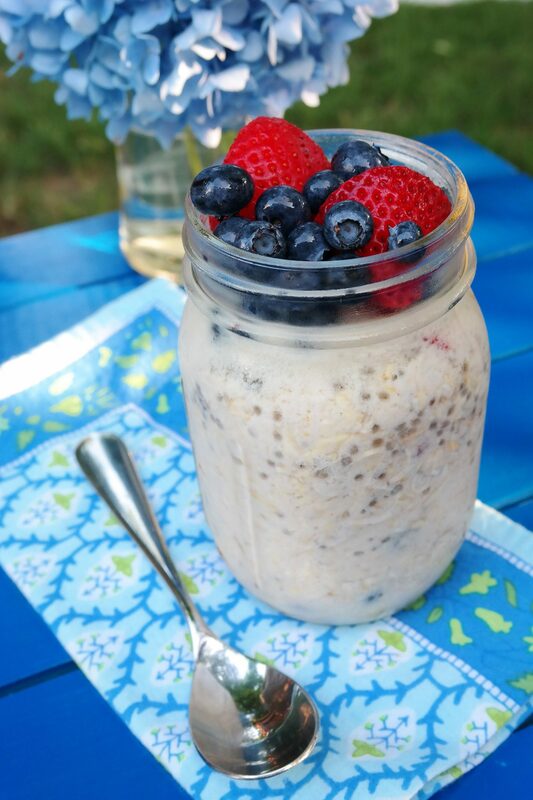 Never tried overnight oats? Well, you're in for a treat. You're probably used to boiling or microwaving rolled oats, but soaking them overnight makes them just as smooth and creamy as the traditional methods. You can even prep multiple batches ahead of time so all you have to do (after rolling out of bed) is open the fridge and grab a spoon. How to make it: Combine ingredients in a mason jar or bowl then cover and refrigerate overnight. Enjoy cold the next morning and top with more fruit if desired.